Our authentic recipe brings real steakhouse flavor to your meal. Just grill or roast our USDA Beef Sirloin Tri-Tip marinated in garlic and pepper with a special herb rub, and you’ll see how easy it is to make any day of the week special. 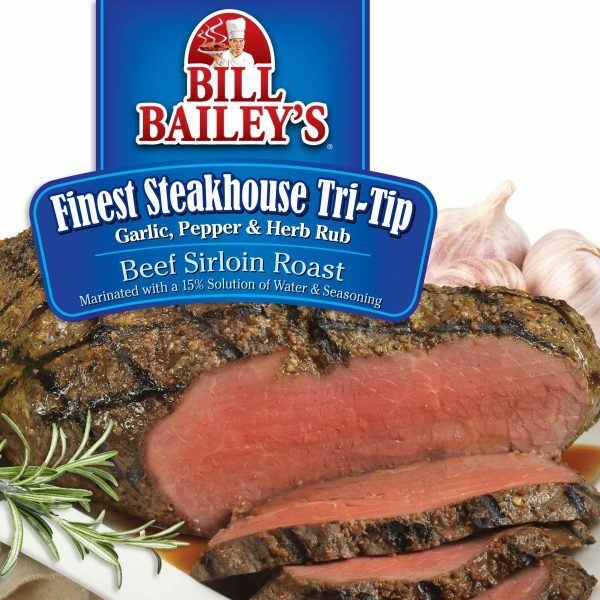 Beef Sirloin Tri-Tip, Water, with less than 2% of the following: Spices, Garlic, Soy Sauce (Water, Soybeans, Salt, Sugar), Spice Extractives, Sugar, Salt, Dextrose, Potassium and Sodium Lactate, Sodium Phosphate. I bought this product at my local Vons and was very pleased on how simple it was to grill on the BBQ over the Labor Day Holiday. Everyone was impressed on how tender and tasty the meat was.